Friday, April 16 is the last day to bring in your bike and receive the Spring Tune-Up Special price of $40. Saturday and beyond, it'll run you the regular rate of $50. We are open Friday, Saturday and Sunday from 11 a.m. to 7 p.m. Big news for this weekend is that the Wheelhouse crew (Except Lisa, who will be manning the shop!) will be undergoing training provided by PEAC on Saturday to ensure that we are all up to snuff, safety-wise, when we are conducting our tours. Led by architect Brian Hurttienne of Detroit's Hamilton Anderson Associates, the three-hour tour utterly rocked -- one of the high points of A.B. 's spring. Happily the tour will be given once a month throughout the summer. Check the Wheelhouse website or call for dates. It's a great way to see the city. Detroit, as writer Toby Barlow has pointed out in the New York Times (click here to read his entertaining, well-observed op/ed piece from several months ago), is virtual heaven for bikers: flat, and almost no cars, particularly on the weekends. Slots are filling up on our next tour, which is April 24 and will visit The Villages. 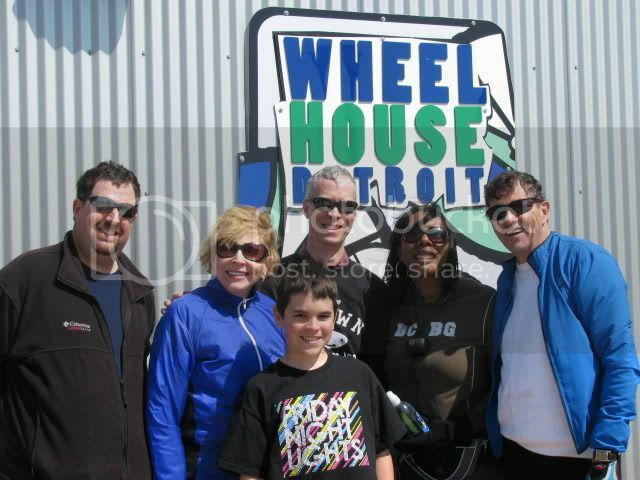 Head to www.wheelhousedetroit.com/tours to read more about it and to register, as well as to peruse our full schedule.